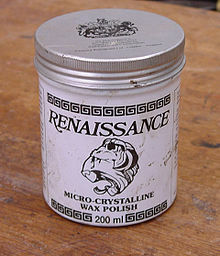 ​Renaissance Wax is a microcrystalline wax - meaning its structure is much finer than that of paraffin wax. Also, unlike beeswax or carnauba waxes its does not contain acids or become acidic over time. It was developed in the 1950's in the British Museum research laboratories to protect and preserve precious items. It can be used on a wide variety of surfaces including wood, leather, metal, and marble. Renaissance Wax is used by major museums throughout the world to protect their collections. I use Renaissance Wax on my jewelry to help retard oxidation which causes tarnishing on sterling silver and patinas on copper. As with any wax, it will wear off after prolonged use. 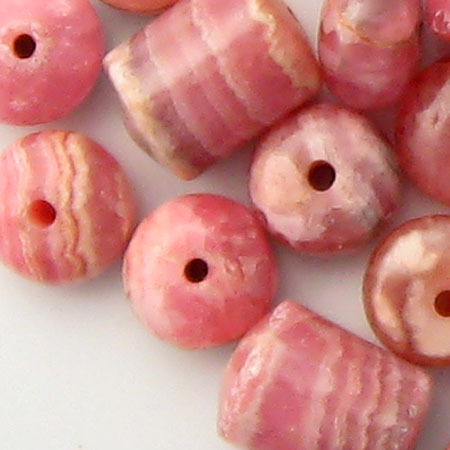 Rhodochrosite is a beautiful pink to red stone with white marbling. It is commonly found in the form of stalactites and stalagmites. Its name comes from the Greek words rhodon (pink) and chros (color). Rhodochrosite is the office mineral of the state of Colorado in recognition of the Sweet Home Mine near Alma, Colorado which produces the highly-prized and rare red crystals found in only a few places on earth. During the rule of Inca Ripac, or Viracocha, rhodochrosite was discovered in the Inca Empire. But when the Empire started its downfall, the mine was abandoned. In 1938, a German named Franz Mansfeld rediscovered the mine and also unearthed an Inca tomb holding funerary jewelry inside it. This led to calling rhodochrosite Inca Rose or Rosinca. Indians of the Andes today believe that the blood of their ancient rulers has turned into the gemstone. 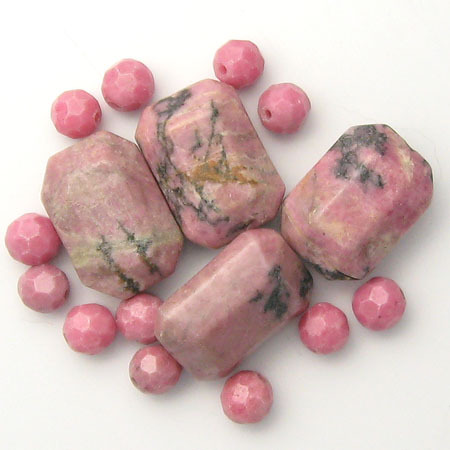 Rhodochrosite is believed to stimulate warm feelings of love and compassion. It is also thought to benefit the creative process and promote intuition. Care: Clean only with cool, soapy water and a soft cloth. ​Rhodonite is a deep, rosy pink to lavender gemstone with black veins called dendrites. Sometimes called the "singer's stone" because it is believed to improve sound sensitivity. Rhodonite is also thought to raise self-worth and ward off negativity. 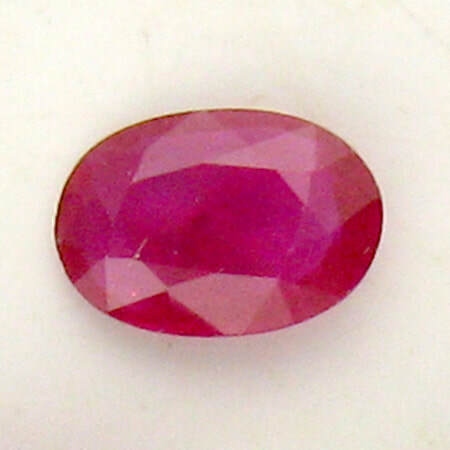 Ruby is the red variety of the mineral corundum; all other colors are called sapphire. It is one of the most durable of gems. Ruby ranges in color from purplish and bluish red to orange-red. Traditionally, the most prized rubies came from Burma (now Myanmar) and were “pigeon-blood red” – a deep red with a slightly bluish hue. This color is the most prized color of rubies regardless of where they are mined. Rubies have been mined in India for over 2000 years. Stone Age and Bronze Age mining tools have been found in Myanmar’s Mogok Valley – site of ruby mines. Since 2003, the US has banned the import of rubies from Myanmar as a financial protest to the long history of human rights violations carried out by the ruling military junta. That ban was finally lifted in 2016. Current sources of rubies include Thailand, Vietnam, Pakistan, India, Sri Lanka, East Africa and North Carolina in the US. Most rubies are heated to high temperatures to improve their color and clarity – but the ruby must have the correct chemistry for heat treatment to work. This type of enhancement is considered common and normal. Untreated rubies are extremely rare and thus very expensive. Because of the scarceness of fine, gem-quality rubies, another enhancement has been developed – lead-glass filling. Low-quality material that cannot be cut and faceted as mined is heated and filled with lead glass to make it transparent and able to be cut and faceted. In effect, you have ruby held together with glass. These types of rubies may be sold as “hybrid” or “composite” rubies and have poor durability. Synthetic or cultured rubies are created in a laboratory and have the same chemical, optical and physical qualities as a natural ruby. In fact, ruby was the first mineral to be produced by commercial synthesis in the 1880s. Simulated rubies are made of materials that mimic natural ruby’s appearance; for example, glass or crystal. Inclusions of tiny fibers called rutile can create various special effects in cabochon-cut rubies (domed stone with no facets). The needle like rutile can appear as a soft sheen referred to as “silk.” If the rutile needles are angled the result is a six-pointed star or “asterism”. If the rutile needles are parallel to each other, they can produce a “cat’s eye” effect known as chatoyancy.